I just love sitting in church on Sunday mornings while Austin preaches. He always shares such truth from the scripture. While I listen, God speaks to me and I often receive inspiration from Him about what to write. This past week, Austin was in James 3:1-12, where it talks about the taming your tongue. It likens the tongue to a small rudder that steers a massive ship. In proportion, the rudder is small, but controls the direction of the ship. It also talks about the tongue being like an ember that sets a forest ablaze. A seemingly insignificant spark has the ability to cause mass destruction. If you can control your tongue, then you will control your whole body. When you don’t have control over yourself, you bring harm to you, others, and ultimately- Christ, Himself. Want Change in Your Marriage? Control Your Tongue. Oh- I know what you want me to say. You want me to tell you that your actions are justified and that your attitudes are right…that it is really your spouse that needs to change. Nope. If you are being unkind to them or disrespectful- you’re wrong. If they are doing the same things to you- they’re wrong. You’re both wrong. Want to see change in your marriage? Tame your tongue and control yourself. Honestly, if you want to see a change in any area of your life- get control of yourself. I’ve never read anywhere in the Bible that tell us it is our responsibility to take control of someone else. In fact, it’s quite the opposite. We are told over and over to gain control of ourselves. We are responsible for our action, our words, and our motives. We are told that God looks at our hearts. He knows our intentions, whether they are for good or harm. We are accountable to Him for everything we do. There is no excuse for your poor behavior, even if your spouse is doing the same thing. It’s Not About a List of Things You Can’t Say. It’s a heart matter. If you know me in real life, then you’ll know that I’m not one to use traditional cuss words. It’s not who I am. What’s funny to me about cussing is this- who decided those words were off limits? Depending on the country you are in, there are different sets of words that would be considered cussing. I can use those words from other countries and have no idea what I’m saying. It goes to show you that is has nothing to do with a list of words you can’t say. Rather- it is a matter of the heart. Are you using your words to praise God one moment, and then hurt one of His children the next? In James 3, he says that should never be! Are You Building Up Your Spouse or Tearing Them Down? Do you build your spouse up with your words or tear them down? Are you encouraging them- or dragging them down? How many conversations do you have about your spouse that are negative? Are you bashing them to your friends or family? There is a difference between telling a trusted friend about an issue you are having with your spouse then talking badly about them. Are you always bringing up their past mistakes to them? Do you imply that their good efforts are not enough? There are so many ways to use your words to tear your spouse down, without ever using a single cuss word. Control Yourself. Change Your Marriage. Change has to start with one of you. Since you can’t change them, change yourself. Austin and I have gotten in these cycles before. One of us says something that hurts the other, and the hurt person lashes out, causing a cycle of pain to start. For change to happen, you have to control yourself. You aren’t showing control when you explode on your spouse. 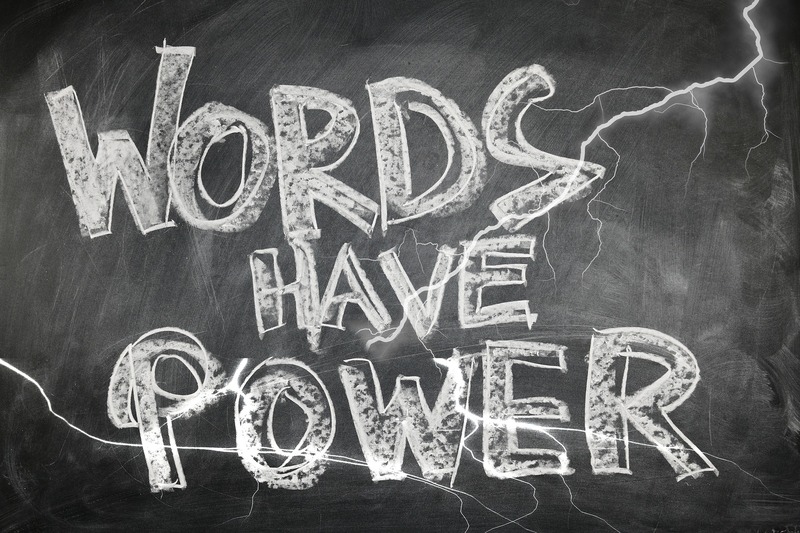 The words you use can either build up or destroy your marriage. Changing Your Words Will Change Your Attitude. If you are full of negative speech, you will have a negative attitude. When you don’t bridle your tongue and allow negativity to spew, it affects you. Use your tongue to uplift others and it will change your attitude. A stinking attitude will kill your marriage. When you start thinking that what you have isn’t good enough- you’ll believe that there is something better out there. Pretty soon, you’ll have yourself convinced that if only your spouse was different, then your marriage would be better. The truth is this- there is no perfect relationship out there. If you and your spouse divorce or separate, there isn’t a guarantee that you’ll get along any better with someone else. Controlling your speech has everything to do with bringing positive change in your marriage. Do You Want to Get Turned On By Your Spouse?